Sylvansport Go Tent Camper: There’s Nothing Else Like It! It’s time to get out on the road to your next outdoor adventure. The Sylvansport Go Folding Pop-Up Tent Trailer is the perfect camper for nature lovers to discover the great outdoors like never before. There is nothing like them! This unique, versatile, lightweight tent camper is the swiss army knife of the RV world. 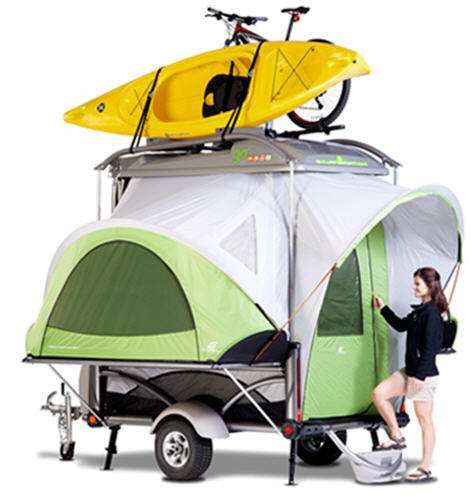 Not only does this stylish trailer provide a comfortable spot to sleep at the end of the day, it also doubles as a cargo transport for bikes, canoes, etc. 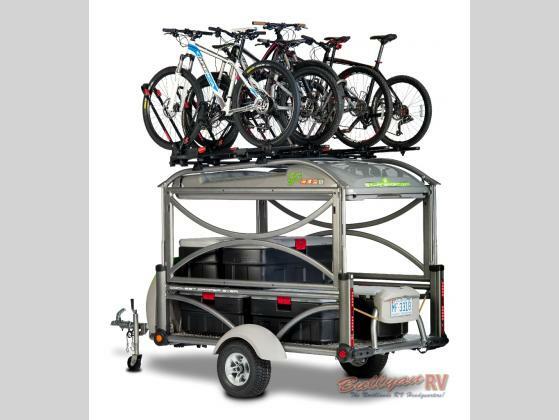 The Sylvansport Go will easily transport six kayaks up on top, or even 6-8 bicycles with four on top and more inside. If you enjoy a bit of off-road riding, you can raise the roof and enjoy the cargo area for a couple of dirt bikes, or even a quad. This is the ultimate in outdoor adventure versatility. 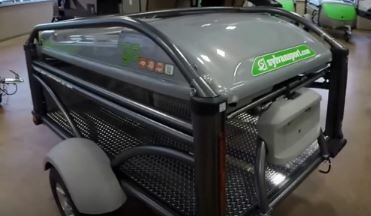 The control-tilt cargo bed allows you to easily load without the use of ramps. Enjoy comfortable camping under the stars with all of the sounds and smells of the outdoors. 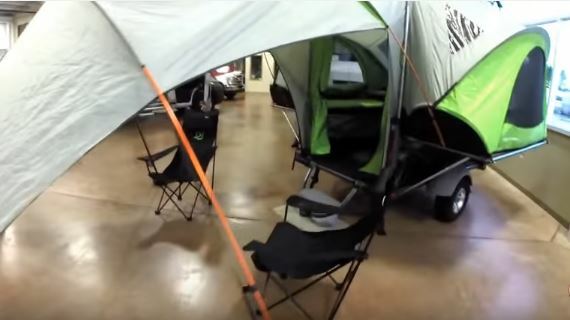 The tent system that can easily be set up in minutes. When it is time to move on, the quality, waterproof tent stores neatly into the roof’s storage box. The Sylvansport Go is a huge step up from tent camping. Insulated bed platforms along with four custom self inflating air mattresses for multiple sleeping configurations, ensure a comfortable night’s sleep so you can be ready for the next days activities. There is also an exterior awning for creating a nice outdoor living space, and so much more! The lockable gear storage box in front safely stores all of your things while you’re away from camp. Here’s the best part, this 860 lbs camper is very lightweight, which allows most cars and small SUVs to be used as a tow vehicle. That means you save money on fuel and transport cost. Go anywhere, do anything. Your next adventure is waiting! 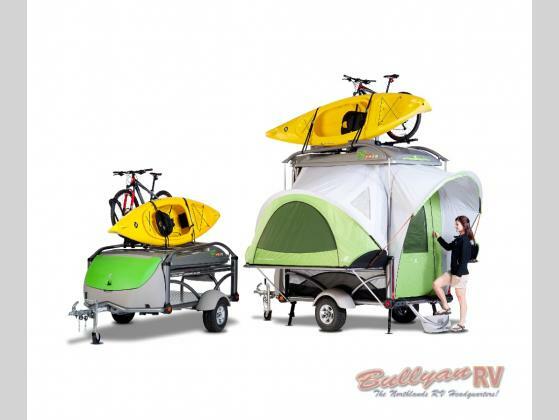 To check out the super cool Sylvansport Go Folding Tent Camper, Contact Us at Bullyan RVs or Visit Us at Our Location. We love showing off these one of a kind trailers!